The absence of several advantages typically experienced by offline retailers has made eCommerce business model extremely challenging in terms of marketing, advertising, lead generation and conversion. Online retailers do not have sales personnel to coerce or cajole customers; neither do they have the liberty to enchant buyers with physical touch. In spite of these challenges online business has grown in leaps and bounds, clocking double digit growth year on year. However, this requires constant efforts in terms of innovation and customer satisfaction. As mentioned above internet business does not have a human face. This crucial, missing element is replaced by inspiring web design and the placement of various elements within. They form core attraction and also the ambassadors of various products. Therefore, it becomes extremely important to develop a design which is clean, stimulating, clutter free and offers online users an exciting experience. Mentioned below are top design tips for improving Ecommerce Conversions. So you have developed an eCommerce website. You feel it is enchanting and well laid out. But, do your customers/visitors feel the same way? At the very outset remember, eCommerce business is all about engagement, conversation, sales and how you can coerce buyers to visit your business site time and again. Check links on this post to view a perfect example of website usability. You can achieve this by seriously concentrating on the two factors, functionality and usability; while the former as explained earlier is all about engagement and sales the latter reflects features and functions. To put it in simple words, your site should provide only those elements which are absolutely essential. 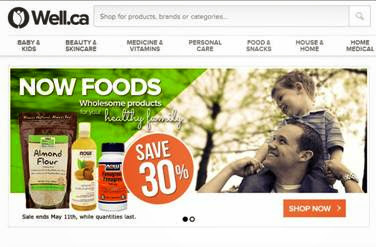 Well.ca, Canada's online store for health, beauty and baby essentials is a perfect example. A clutter-free design allows an enjoyable user experience which is the first goal of any web business. By offering product pages which have ample breathing space, clearly defined areas, crystal clear and large images, catchy headings and subheadings, you typically generate a lot of goodwill even before selling a single product. When the user is happy with the layout, the theme, the arrangement of various elements he/she generally hangs around to explore the portfolio of products further, and even move into other areas. This is what user engagement is all about. This simply means you have captured the attention of the visitor, turned it into a lead who could become a customer. Clean design doesn't mean you need to sacrifice any essential elements. 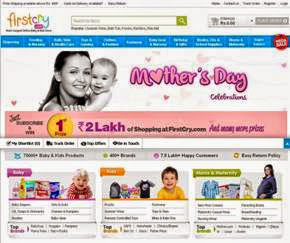 On the contrary it is an art of placing these elements which can make or break an eCommerce site. 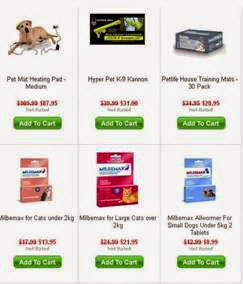 Limit the number of products displayed on the home page. This will reduce confusion and allow visitor to digest the information. Keep away from unnecessary content, useless web elements such as links and undesirable icons which simply clutter the viewing area. Make sure the layout is in line with current trends and provides instant information about your products you are selling. 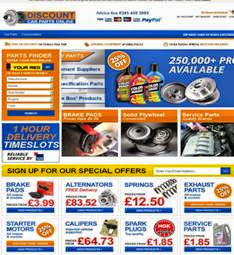 A well organised page is your hook which if exploited properly can increase conversions and ROI over a period of time. Promotional products are great lead converters. Promotions are hooks; especially for the returning visitor who sees an opportunity to exploit. For a new visitor who typically allocates just half a dozen seconds, a discount or an extra perk can hold him/her back for a longer time and thereby turn that visitor into a potential customer. Promotions on home page are your website’s virtual salespeople, who do not speak but coerce visitors through crisp pictures and bold offers. The fundamental rule of any promotion is to use big fonts which clearly mention the advantage of buying the product for that particular period. The offer has to be catchy, grab the visitor through its snappy wordings. Check out firstcry.com which reflects this wisdom beautifully. These offers could be discount, free gift, free shipping or simply a cash voucher which is to be utilised for buying other items. However, make sure promotions do not overwhelm your other home page elements. This will typically confuse a buyer who might get the feeling that your site is all about discounts. Your promotions should be discreet yet attention grabbing. Remember, eCommerce web space is more precious than real estate, and one needs to make sure the ROI on even a small 120px by 250px promotion offers maximum leverage. In short your promotions should be striking, lucrative, tempting, occupy less space and force visitors into buying that product and thereby increase sales. ECommerce sites typically sell hundreds and thousands of products which are departmentalised under various headings and subheadings. These categories and subcategories form an integral part of the site offering an easy way to search products. Therefore, navigation needs to be absolutely snappy, clearly labelled and should maintain its position on all the pages. This form of organised navigation enhances user experience. Imagine a brick and mortar shop. Aren’t these well tagged, making it easy to locate a particular product? The same principle applies to online shops. Navigation with drop down menus offers instant access to various product listings with just a single click of the mouse. This is what a typical online buyer looks out for. Some of the other ways a user finds a particular product is through search box, search filtration options provided on the results/product page or through breadcrumb navigation. Make sure you incorporate all the three. While the first two methods are strictly for those who are already surfing your website, breadcrumb is good for those visitors who arrive via search engines. It typically informs them about the location of the page. They can simply navigate backwards using "You are here >> category >> subcategory" linking system. Offer a detailed FAQ page. This will help novice buyers in case they get stuck or find it difficult to locate a particular product. Offer recommended or featured products at the first user scroll or even second (Typically called as ‘Fold’). These places are standard for most of the eCommerce sites. However, like other elements even featured section needs to be spruced up accordingly. Large images with catchy captions and colourful banner which stand out are some of the ideas which you need to incorporate. Yet another helpful element which works wonders with the featured section is the provision of quick preview. Check out Cliffside. This site offers a detail page when a particular product is clicked in the featured section. It typically allows users to take a peek at the product, description, price and shipping charges without having to leave the home page. What you need to do is to add a “buy now button” in case the user is really impressed and makes an instant decision; a great way to improve lead conversion and sales. 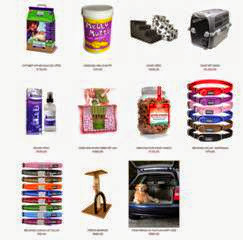 Featured products are basically hot selling items. Analyse your fastest moving product and add it in the recommended section, such as USAutoparts which has done a remarkable job. Make sure you also add a link which offers similar products with varying prices. The importance and impact of a review on the human psyche, especially during decision making can be gauged from the fact that more than 50% online buyers commit after reading positive testimonials. Roommates Decor offers a perfect example of how a review needs to be set up. Therefore, it is pertinent that a product carries lots of reviews and testimonials. Customer rating is yet another tool which can be incorporated in the product’s page, if possible close to the call to action button. Healthy ratings once again force users to take immediate action and head for the payment. Both positive and negative reviews are essential. It makes ratings and reviews appear authentic. However, positive reviews help convince customers about the particular product. Reviews also help push a particular product page in the SERPs, bringing in targeted organic traffic, one of the essential chores of SEO entities. Make sure you reward users who offer constructive reviews and categorise their status with appropriate icon; according to their purchase profile. A picture speaks a thousand words. This adage it seems was built for eCommerce images. Because an ecommerce website doesn't have enough space to describe a product in thousand words, a web optimised, crisp, distinguishable image does the job beautifully. You only need to add caption, price and buy now button. Large images are powerful, attractive, great hooks and carry lots of emotions. Exploit them to the hilt. Make sure all the important features of the product such as colour, contours, accents and shadows are visible to viewers. If the need arises add 360 degree viewing option. However, such a feature will hog bandwidth. Make sure to use this feature only if other options do not suffice. Over the years online shoppers have become extremely selective about their purchases price and shipping costs. Buyers now compare several offers before clicking on that all important “buy now” buttons. In case you are offering a shipping discount or simply providing free shipping on a certain amount of purchase make sure you proclaim this advantage loud and clear. It has been proven by leading marketing experts that more than 40% buyers discard or abandon their shopping cart when they realise that the shipping cost negates the price advantage. These two factors are responsible for most of the abandoned carts. So, if you really want to stand out from the crowd, be very clear about your price and shipping cost. This will reduce last minute ditch and at the same time the buyer will not leave your website unsatisfied or feel as if he/she has been taken for a ride. To overcome this shortcoming simply offer price guarantee and make sure your selling price including the shipping is unique and the most competitive. In short, price and shipping needs to be set up prominently and that too before the purchaser hits the buy button. Call to action button is typically “add to cart” symbol which is placed alongside a product. So far so good, but the joy ends here. Things get tricky once the visitor decides to buy a particular product. Research shows that certain button sizes and colours enhance buyer’s urge to complete the purchase quickly. Yet another parameter which decreases confusion and generates positive response is the labelling of these buttons. Buyers typically feel at home with just a single sentence which reads "buy now" or “add to cart”. Any extra text or indirect prompts results in negative behaviour. Buyers simply get confused and lost, and at the time refuse to explore the additional options in the button. Make sure your “add to cart” button blends with the colour scheme of your website. It should be loud and clear but not tacky and confusing. Last but not the least is the trust factor. Make sure you offer your buyers a feeling of secure shopping. So how to you achieve that? The answer is simple. By getting your site accredited by leading security experts. Verisign, Truste and McAfee are some of the renowned entities who can turn your site into Fort Knox, which is simply impregnable and virus and hack proof. Place symbols or batches from these companies in the header and footer section of your home page. Make them stand out against a conflicting background. Let your visitors know that their essential credit card and personal information is 100% secure from cyber shenanigans. Derek Fraser is an online Blogger. He likes to write about various articles related to Web Designing, Home Improvement, Internet Marketing, Business Tips and Eco Friendly Measures. Follow him on Google+. Thank you for reading Top Design Tips for Improving Ecommerce Conversions posted on the website Kwentology if you want to redistribute this article please include the link as the source. Have some kuwento to share? Contact us!